On Monday 16th January 2017, the last man to walk on the moon, Gene Cernan, died aged 82. With his passing, the world lost a remarkable hero and an inspirational storyteller. Eugene Andrew Cernan was born on the 14th March 1934 in Bellwood, Illinois. Growing up, he spent a lot of time on his grandparent’s ranch and hoped, one day, to have a ranch of his own. He achieved this aim and, as Mark Craig’s respectful documentary shows, so much more besides. 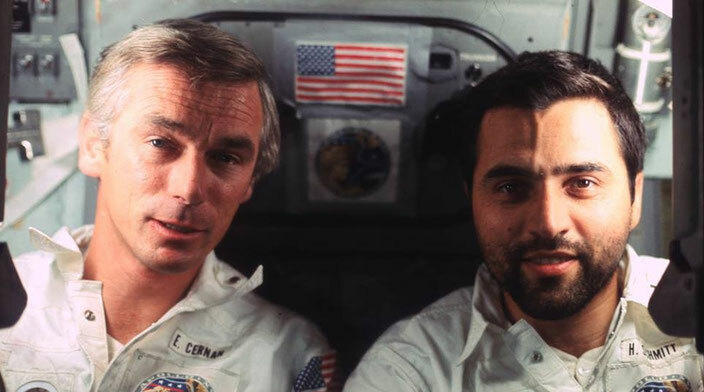 In his twenties, Cernan joined the US Navy as a pilot. Stationed in San Diego, he loved to fly - a passion that never left him. Then in 1963, after a rigorous selection process, Cernan became one of 14 astronauts selected by NASA to join the Gemini Program. Immediately after joining NASA’s space program, the new astronauts were thrust into the media spotlight. Bombarded by the press, they had to learn how to deal with their newfound fame and hero status. While the astronauts became addicted to their work, their wives and families had to shoulder the emotional burden. “If you think going to the Moon is hard, you should try staying home,” explains Cernan’s first wife, Barbara. The human cost of NASA's space program was extremely high. In February 1966, the crew of Gemini 9, Elliot See and Charles Bassett, were killed in an airplane crash. Then, on 27 January 1967, three astronauts - Gus Grissom, Edward White and Cernan’s great friend, Roger Chaffee - died when fire swept through their spacecraft during an Apollo 1 mission rehearsal at Cape Kennedy. The Last Man On The Moon highlights the impact these tragedies had on Cernan and his colleagues. The film also features moving interviews with Chaffee’s widow, Martha, and mission director, Dr Christopher Kraft. Their pain is still raw. In the aftermath of the Gemini 9 tragedy, Gene Cernan and Tom Stafford became the flight's prime crew. One of the main objectives of the mission was a two hour space walk. Heading out into the unknown, Cernan experienced significant challenges with his tether (which he called “the snake”). He also encountered difficulties with movement, stability and vision (his visor completely fogged up). He was unable to complete his mission as a result and Craig's documentary shows that this disappointment never truly left him. However, the lessons learned from Gemini 9 proved invaluable for the Apollo space program. Stafford and Cernan reunited for Apollo 10, joined by command module pilot, John Young. The Last Man On The Moon captures Cernan saying that no one really remembers this mission. However, Apollo 10 meant everything to one man - Neil Armstrong. It was a critical dress rehearsal for the first Moon landing. 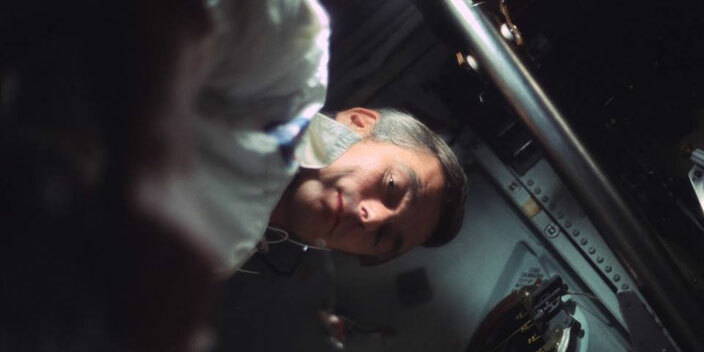 A 2007 interview for NASA about the Apollo space missions reveals Cernan's keen sense of humour: "I keep telling Neil Armstrong that we painted that white line in the sky all the way to the Moon down to 47,000 feet so he wouldn't get lost, and all he had to do was land. Made it sort of easy for him." Cernan experienced his own moon landing on Apollo 17. He became the 11th man out of 12 to walk on the Moon and the last man to leave it - a fact that he could never quite accept. 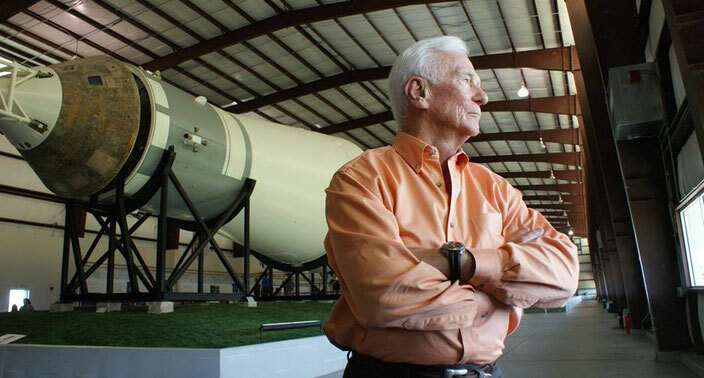 Cernan’s pride in NASA’s Space Program is infectious. While some astronauts struggled with life after space, he embraced it and made it his new mission to share all that he had experienced with the world. 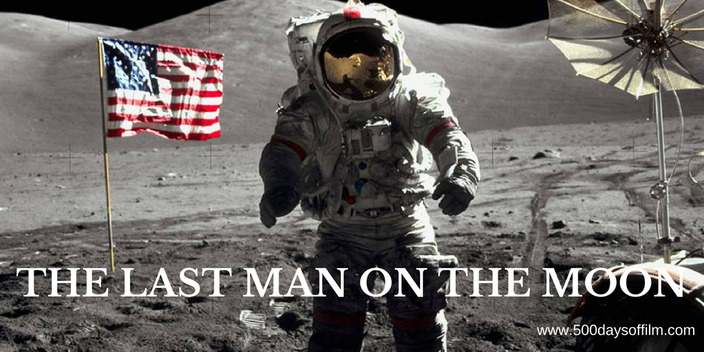 The loss of Gene Cernan adds a layer of poignancy to The Last Man On The Moon. However, Craig’s film will help to ensure that his remarkable, inspirational story will never be forgotten. It's odd. I actually found out about this movie around the same time that I heard of his death. I just finished watching it a few minutes ago. I'd like to think that we'll be back to the moon and beyond, one day. Last Man On The Moon feels even more poignant now doesn't it. I really enjoyed this documentary - those astronaut's were (and still are) a rare breed.